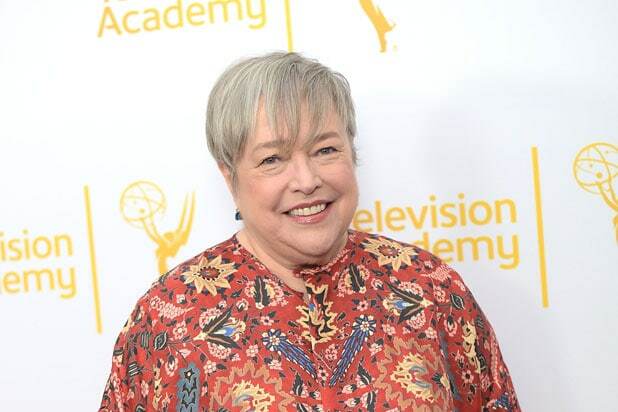 Kathy Bates has been cast in Ryan Murphy’s upcoming FX series “Feud,” TheWrap has confirmed. The series will focus on famous feuds, as the title suggests, with the first season focusing on Joan Crawford and Bette Davis’ animosity on the set of “What Ever Happened to Baby Jane?” Jessica Lange will star as Crawford and Susan Sarandon will play Davis. Catherine Zeta-Jones will play legendary actress Olivia de Havilland, while Murphy mainstay Sarah Paulson will play Geraldine Page. Stanley Tucci will play famed studio boss Jack Warner on the series, with Alfred Molina playing film director Robert Aldrich. In addition, Dominic Burgess will appear as co-star Victor Buono, and Judy Davis will play famed gossip columnist Hedda Hopper. Brad Pitt will executive produce the series under his Plan B Entertainment banner, along with producing partner Dede Gardner. Murphy will also serve as an executive producer on the series, with Sarandon and Lange also getting producer credits. Fox 21 Television Studios will produce. TV Line first reported this news. The second half of "American Horror Story Roanoke" is now underway, and things are about to get very ugly. Matt, Shelby and Lee are back on The Butcher's land with the "My Roanoke Nightmare" actors who played them for a stupid reality show, and the show has revealed that all but one of them will die horribly. Evan Peters' Rory has already found himself on the business end of a knife, so what are the chances on the others' hope for survival. Let's rank them, shall we? The scumbag producer of "My Roanoke Nightmare" and "Return to Roanoke: 3 Days In Hell" is pretty much designed to be a hate sink for the audience. There probably isn't a single viewer who doesn't want to see Sid get punished for his smug manipulation of others and his complete disregard for their well-being. We expect him to either be one of the last to get offed in Episode 9 or to go in Episode 8 so that whoever's left has to survive without the production crew. Like Sid, Cuba Gooding, Jr.'s character hasn't developed much beyond being a womanizing bad boy who slept with Shelby for kicks. That doesn't give him a good chance of being a survivor. Given how much Matt and Shelby hate him, we expect him to go early to plant seeds of strife and suspicion among the group that one of them is responsible for the deaths. Aside from a great showdown with Lee about how she portrayed her on the show and how they are both alcoholics, not much was revealed about who Monet is. Maybe we'll see some hidden depths of toughness and survival in her as the body count ramps up, but she hasn't proven to be that essential to the story. Of all the actors from "My Roanoke Nightmare," Kathy Bates' deranged Agnes is by far our favorite. 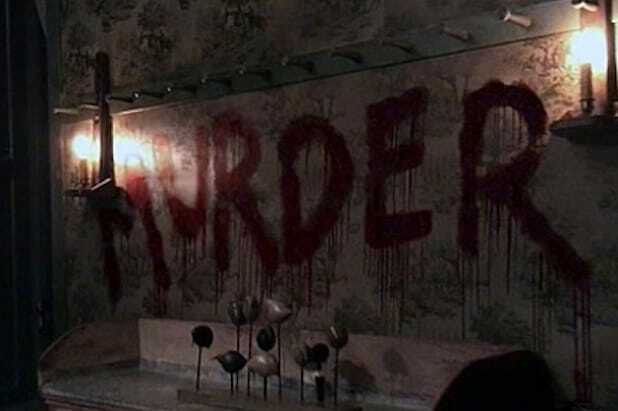 We expect that there's more darkly humorous moments in store as she skulks around the house pretending to be The Butcher, but she's not likely to survive simply because the irony of her meeting her end at the hands of the real Butcher is probably too tasty for the "AHS" writers to pass up. Audrey -- 45%: Of all the actors, it's difficult to imagine what will happen to Shelby's actor. After Rory's death, it seems that she's in for as much terror and pain as the woman she portrayed and towards whom she's only shown smug dismissiveness. If "AHS" decides to go in the direction of Shelby being the Final Girl (more on that in a minute), we might see her and Audrey be forced to fend for themselves together. The actors so far seem mostly there for kill fodder and to satirize Hollywood, but of all the characters that could surprise us with some depth, we'd put our money on the one played by Sarah Paulson. The survivor is likely to be one of the Roanoke Trio, since they have been at the core of the story. Of them, Matt is the most mysterious so far, as his motive for coming back isn't clear and he seems consigned to his fate. But remember how he talked about Scathach and the "connection" they had with such fondness? Maybe he has some deal to sacrifice the others to her and the Butcher in exchange for winning her favor. Or maybe he'll end up sacrificing himself because he wants to spend an eternity with her. Cause of death: Killed by a jealous Shelby after revealing he came back to be with Scathach. Those who are placing bets on Lee surviving think that she will be blamed for all the deaths that happen on set like she is blamed for Mason's death. We should note, though, that Ryan Murphy has warned fans that the Roanoke Trio are not to be trusted, and not everything they said on "My Roanoke Nightmare" was the truth. Whether she lives or dies, Lee's fate could very well be tied to a big revelation that she's not as innocent as she claims. She's soft-spoken, tries to be polite, just wants to get her life back, and is still alive despite having the survival instinct of a teen taking Ambien in a "Nightmare on Elm Street" film when she was first in Roanoke. But Shelby comes back with more determination to fight for control of her life, and that means there's a good chance that she will be the Final Girl of "AHS Roanoke." Of course, we should also note that there's a chance that the "Return To Roanoke" survivor won't still be alive when the book is closed on this season. Murphy has revealed that the season finale will change the show's framing device again and be another thing all on its own. Could the finale show the survivor attempt -- and possibly fail -- to move on from escaping a second bloody near-death experience? Past AHS seasons like "Freak Show" have ended with all the major characters dead. The same could happen here.